The SL16 fleet were unable to race on Tuesday due to a shipping delay in advance of competition. The full quota of equipment is due to arrive in the next 12 hours with racing scheduled to start at the earliest possible opportunity. The fleet will look to catch up on the races missed, utilising the championships reserve day of Friday 1 January. 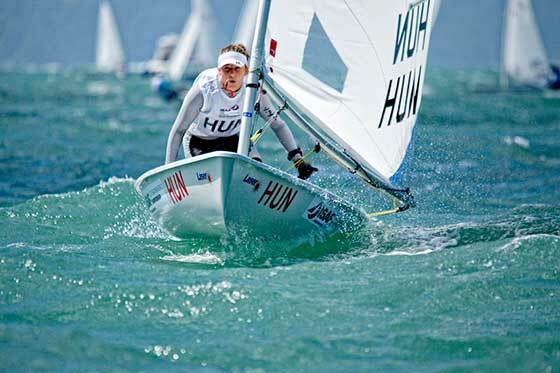 The Youth Worlds was first held in Sweden in 1971. 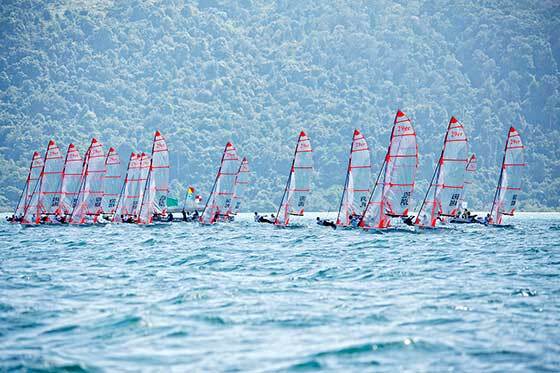 The 2015 Youth Sailing World Championships in Langkawi, Malaysia will be the 45th edition of the championship. 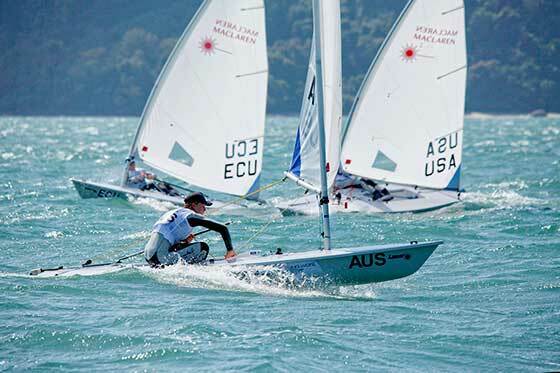 Past notable winners include American's Cup skippers, Chris Dickson (NZL), Russell Coutts (NZL), Dean Barker (NZL); Olympic medallists, Nathan Outteridge (AUS), Iain Jensen (AUS), Robert Scheidt (BRA), Amelie Lux (GER), Ben Ainslie (GBR), Iain Percy (GBR), Alessandra Sensini (ITA), Elise Rechichi (AUS) and Tessa Parkinson (AUS); Volvo Ocean Race sailors like Stuart Bannatyne (NZL) and Richard Clarke (CAN). The most successful ISAF Youth World Champions are Great Britain's Sally Cuthbert and Poland's Zofia Klepacka having won four successive titles in the Laser II and Mistral respectively. Spain is the current holder of the Nations Trophy, awarded annually to the top performing nation at the Youth Worlds. France is the most successful nation through the history of the Championship, winning the Nations Trophy on a record 12 occasions and holding a record 74 medals: 26 gold, 30 silver and 18 bronze.